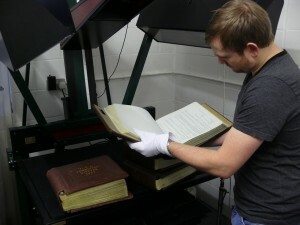 In most cases scanning can be carried out without taking the book apart provided there is a good enough margin. 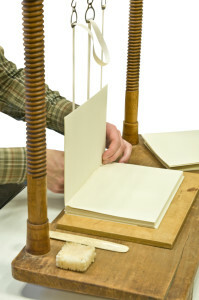 If not the book block is removed from the case and the pages are removed into individual pages then scanned and can then be rebound, if required. Reasons for having a book scanned; if within your library you have old bindings that are referred to regularly and your preference is not to have these handled then here is our suggestion: scan it, reprint it, new bind, also provide the contents of the book on disc, rebind the original (or leave as is), bind the new print and use the new print for viewing. The original can then be placed in storage. We can supply an archival box, if required. 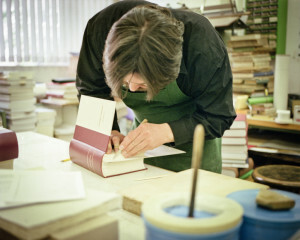 J S Wilson & Son bookbinders has 185 years of experience in traditional and academic binding and having worked with all of the Cambridge University colleges and departments at different times over the years, plus in addition working on valuable collections for famous libraries and museums, our bindery offers the best skills available. 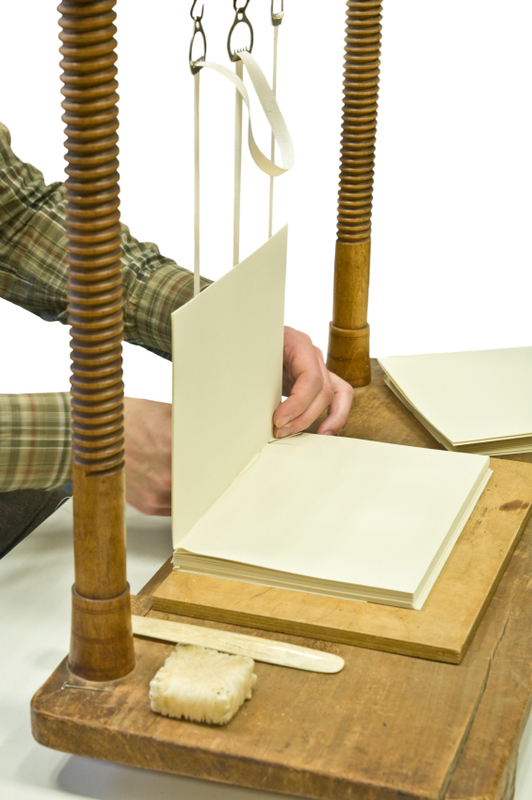 Our conservation department can restore your most valuable bindings or documents using traditional methods and materials. We offer paper treatments in regards to foxing, paper tears, etc. Our aim is to retain as much of the book’s original character as possible unless requested otherwise. With leather bindings we can also treat redrot with great success (depending on the stage of deterioration). Our skilled craftsmen can produce boxes to any dimension (within reason) for protecting and storing your books, loose pages, photographs or records etc. We have a variety of materials and finishes that can be used.